At Abbey Conservatories, we understand the struggle of having conservatory blinds that are difficult to clean. We also know that you want to spend time with your loved ones, instead of cleaning your blinds. This is why we are working with a company that holds the position of market-leaders for integral blinds – Morley Glass. By working with them, we are able to offer you the best integral blinds on the market, ensuring your home is getting another layer of insulation as well as added protection. Made from only the best materials, your chosen integral blinds will need little to no maintenance, so you have more time to spend with those you love. 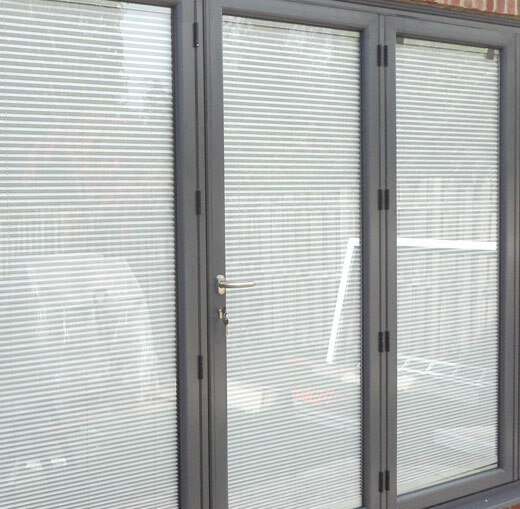 There are two main types of integral blinds we offer, the first being Venetian. Venetian blinds are ideal for those looking for added protection against the harmful rays emitted from the sun. Best suited for conservatories or vertical windows, our range of stunning Venetian blinds are guaranteed to add a special touch to your conservatory. The variety of Venetian blinds on offer are all available to fit inside your existing window frames, making them ideally suited for your home, too. This type of integral blinds is sandwiched in between two panes of toughened glass, making sure it continues to look brand new, so you don’t have to replace it regularly. The second type of integral blinds we offer to our customers are Pleated blinds. Perfect for those looking to increase their home’s thermal efficiency, the blind acts as an additional insulation layer, gradually warming your home up to the perfect temperature. Like the Venetian blinds, these are also sandwiched between two panes of toughened glass. As well as providing an extra layer of thermal insulation to your home, it also serves as protection against the harshest weather conditions. This means your home is better protected than before, allowing you to enjoy the company of your friends and family, undisturbed, for many years. Our Pleated blinds are ideal for any type of home. This is one of the more common control systems, with many of our Reading customers choosing it for their integral blinds. This system utilises magnetic force with manual operation to provide you with control and practicality. Ideal for installing with our beautiful Venetian integral blinds, the two magnets used – both internal and external – are operated using a cord loop, giving you incredible levels of control. Much like the C-System control system, the cordless slider provides you with the ultimate level of control. However, this one features a magnetic slider situated on a narrow slide guide, for ease and aesthetic. Featuring two magnets located on both sides of the internal glass, you have the option of opening and closing your blinds or tilting them to let in vast amounts of natural light using the same slider. The S-System Slider works perfectly with our Pleated integral blinds and looks highly pleasing due to the elimination of the cord. Opening and closing your blinds have never been easier. Making use of magnetic force, we position a magnetic slider at the bottom of the internal window pane. To open and close the integral blinds, simply move the slider up and down the glass. It’s as simple as that with our Slider system. For the eco-friendly, this control system is perfect. The battery-operated, motorised integral blinds are ideal for those looking to make their home eco-friendlier, helping the environment whilst saving money. This system works perfectly with both blinds, giving your home a look of transformation. You are still in full control of the blinds with the use of a control panel situated on the window frame or a separate remote control. If you are looking to install integral blinds but want to keep the peace and tranquillity inside your home, this is the ideal solution for you. The Motorised Brushless control system is designed to open and close your integral blinds with minimal noise, keeping a calm atmosphere inside your home. With a motor built into the blind head-rail, it incorporates a micro-control unit that allows for ease of operation. 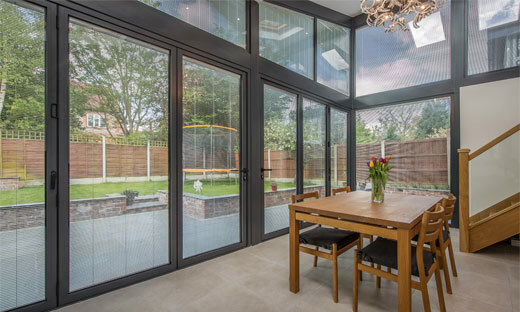 To find out more about the stunning integral blinds we offer, give us a call on 0118 958 2839. You can talk to one of our team of highly trained experts who are on hand and ready to reply with detailed answers to your questions as soon as possible. 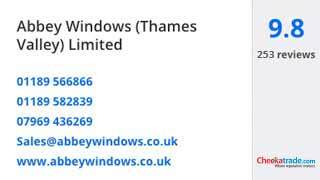 Alternatively, you can send us an email to sales@abbeywindows.co.uk, or using our online contact form.